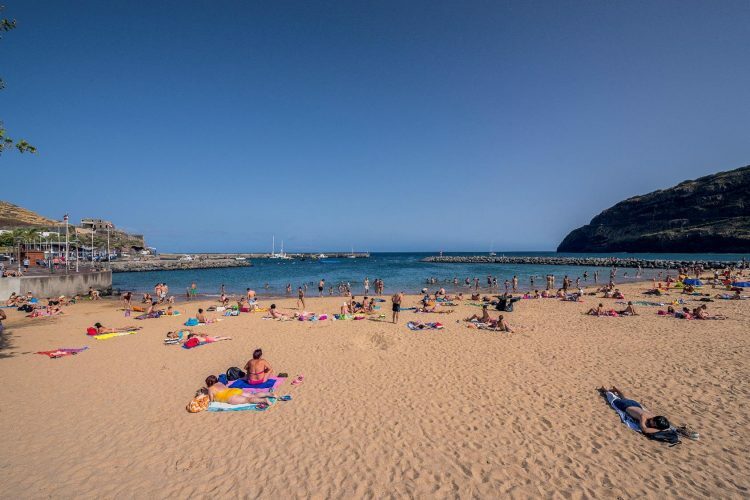 Did you know that there are sandy beaches on Madeira Island? 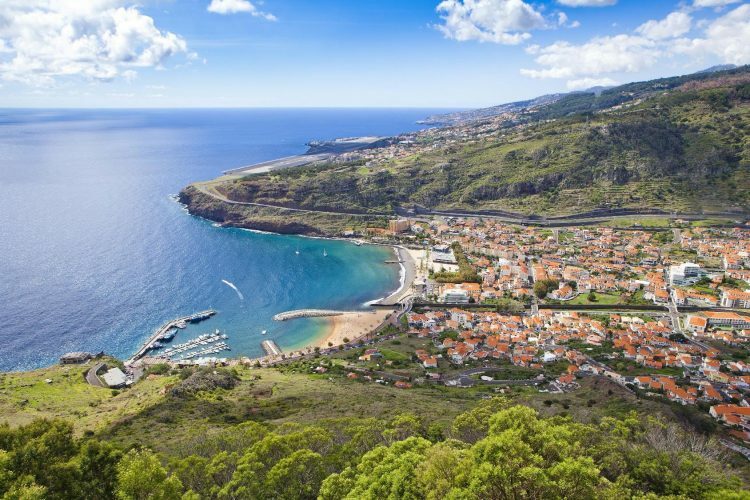 Madeira Island is not usually known for being a beach destination, unlike Porto Santo, famous for its golden sands (click here to know more about the sand properties of Porto Santo), however, Madeira beaches will surprise you! 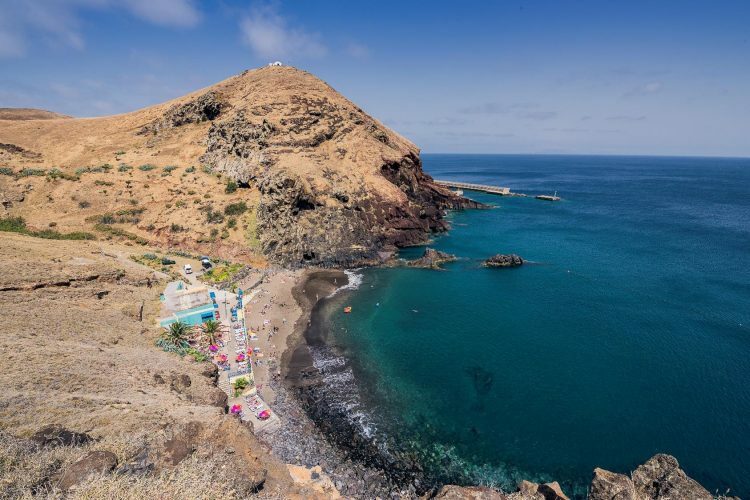 Here, the beaches are mostly of pebbles and volcanic rocks, which makes them different from the usual, but there are also some sandy beaches waiting for your visit. You will be impressed with its surrounding scenarios. 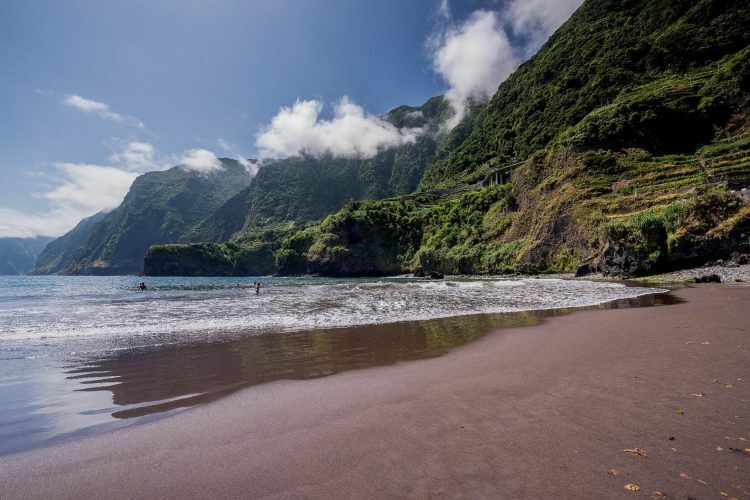 We present to you four sandy beaches on Madeira Island. Come and meet them! The Calheta beach was the first imported sand beach in Madeira. It is surrounded by small breakwaters, which usually means fewer waves or sea currents. It has two rest areas where you can rent sun loungers, and an inflatable play area in the sea, which makes the children very happy. 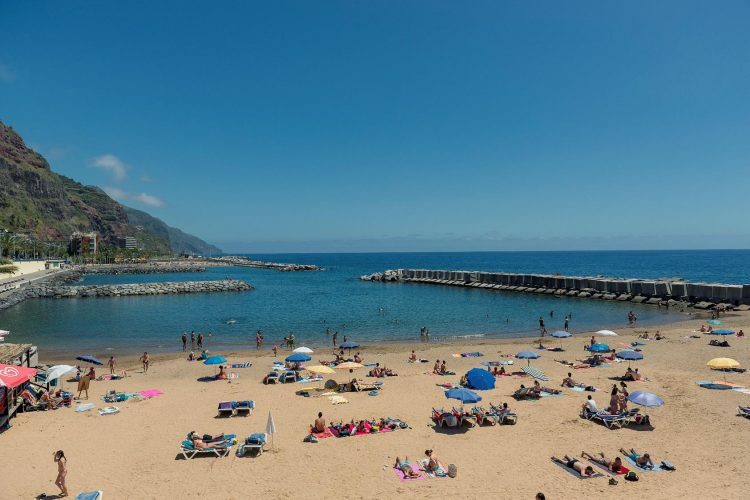 It is next to the Calheta marina with its promenade and various support facilities, such as W.C., changing rooms, volleyball courts and restaurants. It also offers a supermarket and a parking area with parking meters nearby. On the opposite side of the island (also on the south coast) lays Machico beach, also made of imported sand, with soft sand grains. One of its peculiarities is that you can contemplate the takeoff/landing of the aeroplanes in the Madeira Airport whose track is nearby. There’s a promenade that gives access to this beach. There you can find a parking area with parking meters, as well as several restaurants and cafes with a terrace. 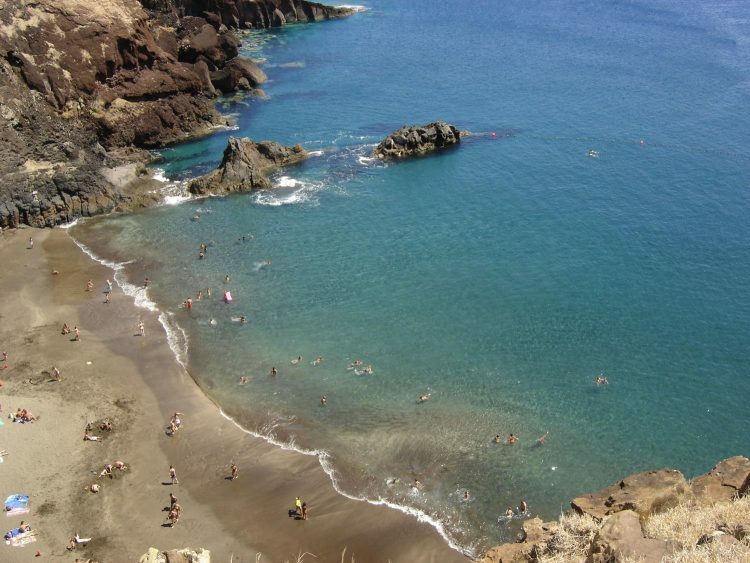 Nearby, there is also the natural Machico beach, with pebbles and black sand, typical of the Island. There is a pontoon to access the sea. 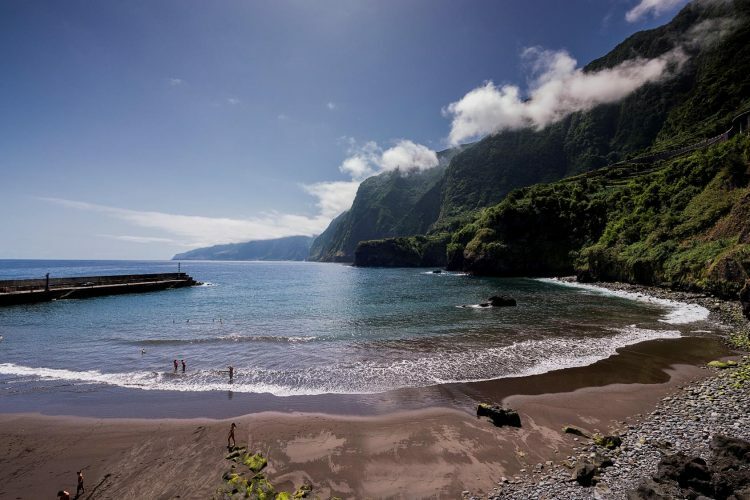 Next to Ponta de São Lourenço, on the southeastern coast of Madeira, there is a small beach called Prainha. This beach of natural, thin and coppery sand, is sheltered in a cove. It is easily accessed, thanks to a pedestrian trail with some steps. You can park your car on the main road, next to the path. This beach is appreciated for its clear waters and breathtaking scenery. Around it, there are mountains with some trees and the picturesque Chapel of Nossa Senhora da Piedade. It has a restaurant with a terrace, W.C. and showers. The natural sandy beach of Seixal port, on the north coast of the island, is one of the most photographed beaches in Madeira, thanks to its unique scenery. Its beautiful, thin black sand is softened by the gleaming green of the surrounding mountains. It has a small harbour/pier next to the beach, which slightly breaks the force of the waves. 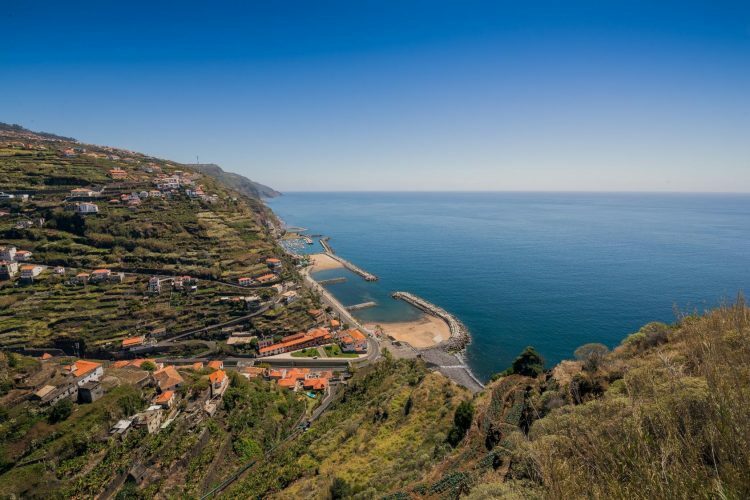 Nearby are also the natural pools of Seixal, where you can enjoy beautiful dives. The Madeira sandy beaches offer impressive and unexpected landscapes, in the middle of the Atlantic Ocean. Lay your towel on the sand, or on the pebbles. Do not miss the beauty of Madeiran beaches! !